KIEV, Ukraine -- Last week Ukrainians voted in local elections that many considered a test of the country’s commitment to democracy. It was the first balloting since President Viktor Yanukovych, the Moscow-backed antagonist of the 2004 Orange Revolution, ousted the pro-Western revolution’s leader, then-president Viktor Yushchenko, roughly a year ago. 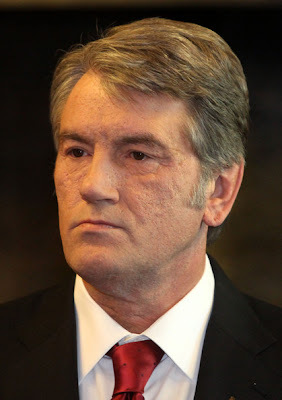 Yushchenko lost the presidency in the first round, claiming only about 5 percent of the vote. NEWSWEEK contributor William Schreiber spoke with Yushchenko about the recent elections, his legacy, and Ukraine’s strategic relationship with Russia. Were last week’s elections fair? The law allows a one-party monopoly of election commissions. It doesn’t allow the reversal of election results or the recognition of results as invalid. With such laws, can fraud take place? Obviously. But excuse me for revealing our messy kitchen. Was Yanukovych the better choice for advocates of resetting U.S.-Russian relations? The politics that have won today in Ukraine are not in anyone’s best interest. These are not even the kind of politics that make Russia more stable. Ukraine can play a greater role in this region only when it achieves European freedoms, democracy, and a clear security policy. Is Ukraine closer to EU integration today than it was before the Orange Revolution? It depends on whether European leaders are ready not only to stand up for their values but also to ensure their expansion on the continent. Internally, of course, I’m pessimistic. During recent years the government has carried out economic and social reforms weakly. You recently took personal responsibility for your loss in 2010. You said a single person lost, not millions of Ukrainians. What did you mean by that? What happened a year ago [Yanukovych’s election] was not a failure from the point of view of democracy as an ideology. The majority of society didn’t vote for him. The majority of people neither share his system of values nor approve of his policy. And that is why I can’t claim that society lost — no. Its direction is still democratic and pro-Ukrainian. This was not a failure of values that happened a year ago. This was a lesson God gave us so that we’ll have better self-realization. So I declared that if someone wants to talk about failure, let it be my personal failure. Working with [former prime minister Yulia] Tymoshenko. Her politics destroyed this country’s democratic expectations. Her behavior in government was more befitting a showman, not a prime minister. Tymoshenko has emerged as leader of the opposition. Is she important for Ukraine today? [Russia’s] biggest dream is to have a Yanukovych government and Tymoshenko as the main opposition. This is Moscow’s best-case scenario. Their politics are identical. Power and fame—those are the only things these two serve. Is your political career over? I’m not interested in who I will be. I was twice elected head of the National Bank. I have been a prime minister and a president. For one person, that’s probably enough. I can tell my kids that I devoted everything to my nation. What will history books say about the Orange Revolution? The last five years have brought rights and freedoms to the Ukrainian public: freedom of speech and identity. That can’t be erased. We started to be proud that we are Ukrainians. Before that we were confused whether we were Russia or a separate country. Our strivings were so universally human, they carried such high standards, that the whole world came to know about us. The Orange Revolution was the continuation of independence. I think that in time people may see my presidency and the Orange Revolution in this light.